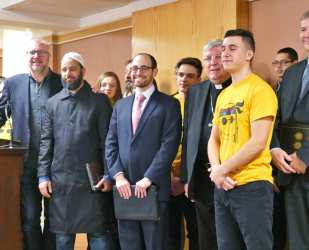 TORONTO, January 26, 2018 (LifeSiteNews) – Eighty-seven Canadian religious leaders who are Christian, Muslim, and Jewish are demanding that Canada’s Liberal government to drop its controversial pro-abortion attestation from the summer jobs program, saying it’s unfair and undemocratic. “The promise of a free and democratic society is that there be no religious or ideological test or conditions to receiving government benefits or protection,” they wrote in a January 25 open letter to Prime Minister Justin Trudeau and Employment Minister Patty Hajdu. The letter was released at a Thursday press conference at St. Benedict’s Catholic Church. The faith leaders say that they can’t sign the attestation. As a result, their charities and ministries won’t be able to access public funds to hire students to staff numerous programs, such as inner-city camps for poor children. Hajdu told an Ottawa press conference Thursday she doesn’t intend to remove or alter the attestation, the Catholic Register reported. However, faced with a mounting backlash from faith groups, a drubbing in the media, and a pending Charter challenge, Hajdu’s ministry released “supplementary information” on the attestation earlier in the week. It attempts to define terms in a way that will smooth over the controversy, and includes examples of what jobs the Liberals will fund, but does not change the wording of the attestation. Hajdu said earlier this week she introduced the attestation because of complaints last year that pro-life and pro-family groups were receiving summer job grants. “If the government has a difficulty with a particular group doing something which they feel is not acceptable, I would say they should talk to that group,” Cardinal Thomas Collins of the Archdiocese of Toronto said at Thursday’s press conference. “But to put a kind of a wide-open ideological test for everybody, which we cannot in conscience sign, I think that’s just not fair,” he said. The archdiocese typically applies for funding for some 150 summer jobs under the program, which has a budget of $241 million to fund 70,000 placements across the country. “Are you saying none of [the] faith groups you represent will be denying jobs to LGBT youth or employing youth to hand out anti-abortion materials?” a Canadian Press reporter asked. “Our concern is what we’re dealing with here is a kind of ideological test,” Collins replied. Hajdu’s position, “at the moment at least, I hope she’ll change it, is, don’t worry, we don’t mean you, we mean some other people, but check the box, you’re okay,” Collins told LifeSiteNews. Rabbi Chaim Strauchler of the Shaarei Shomayim Modern Orthodox congregation of Toronto made much the same point. “It’s worth thinking about the temptation of power that is taking place here,” he said. The Liberal government “is asking all Canadians, in order to participate in a government program, to attest, to make a statement of who they are,” Straucher said. Faith institutions are “defined by our theology, by our beliefs and our practice,” and so take attestations “very, very seriously,” said Bruce Clemenger, president of the Evangelical Fellowship of Canada. The Liberals “are asking us to attest to some things we can’t attest to, and other things we don’t know what we’re being asked to attest to,” he said. Imam Refaat Mohamed of the Canadian Council of Imams said the attestation is “undefined” and “confusing to faith communities.” The CCI will work to “make sure this attestation is amended or removed,” he said. Dave Addison, executive director of the Toronto City Mission said that because his Christian mission can’t sign the attestation, it faces a shortfall of $100,000 to pay 16 students to staff summer camps in Toronto’s inner-city. The mission is already operating at a deficit, having decided last year to offer the camps for free because many of the families they serve can’t afford to pay any fee," Addison said. “We continue to plan, we hope that we’ll be able to run the camps. We go beyond hope because as Christians, we pray,” Addison said. OTTAWA, January 26, 2018 (LifeSiteNews) – It’s “logically impossible” for Prime Minister Justin Trudeau to consider himself Catholic and pro-abortion, Ottawa Archbishop Terrence Prendergast wrote. He made this point in an Ottawa Sun editorial slamming the Liberal government’s requirement that employers sign a pro-abortion, pro-transgender attestation for summer jobs grants. Prendergast rebuked Trudeau’s “disingenuous” claim that the Charter includes a “right” to abortion. 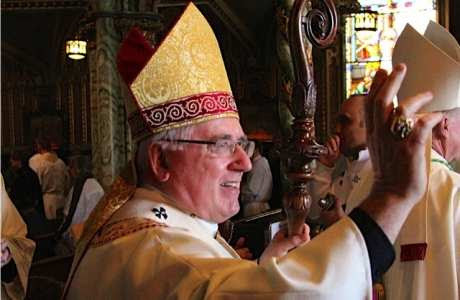 The archbishop, a Jesuit, lamented the prime minister’s “confused personal comments” about reconciling his Catholicism with support of abortion on demand. “We cannot affirm that we support a (non-existent) right to abortion, which is what the euphemism ‘reproductive rights’ means,” he wrote. Canada’s Employment Minister refused during a recent interview to say whether signing the pro-abortion statement would be extended to other employment programs. She also wouldn’t answer a question about whether the attestation would be expanded to include support for physician-assisted suicide. The Canadian Conference of Catholic Bishops (CCCB) “remains seriously concerned that the beliefs and practices of Catholics and other faith traditions will exclude them from receiving funding through the Canada Summer Jobs Program,” the bishops wrote in a joint letter Tuesday. The release of “supplementary” information on the attestation, apparently an attempt to appease religious groups, still doesn’t negate the fact that “the attestation and examples still amount to the government’s coercion on matters of conscience and religious belief,” the CCCB wrote. Trudeau, who brought his children to a gay “pride” parade and is extremely supportive of the LGBT cause in addition to abortion, received Holy Communion at a Catholic Mass in May 2017.